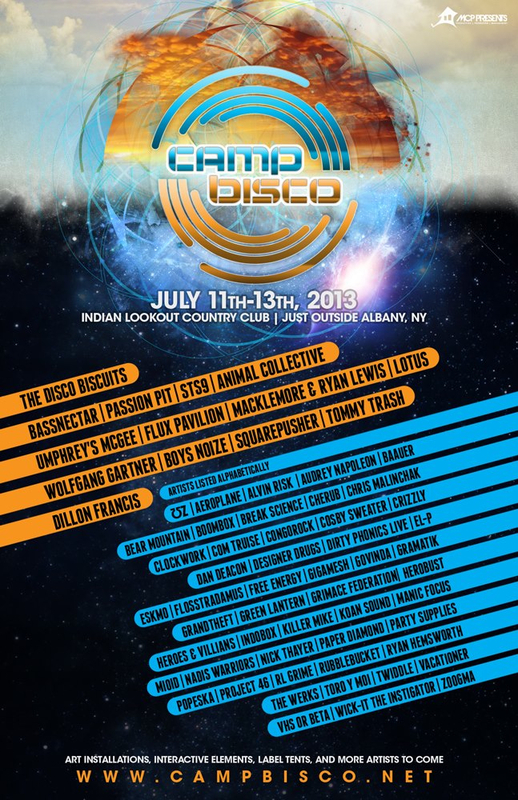 Camp Bisco just announced the lineup for their July 11-13 festival at the Indian Lookout Country Club in Mariaville, NY. The festival was founded and will be headlined by The Disco Biscuits and will feature Animal Collective, STS9, Umphrey’s McGee, Passion Pit, Bassnectar, Lotus, Rubblebucket, Cosby Sweater, The Werks, Paper Diamond, and many, many more. Tickets are already on sale. Check out the initial lineup.